Blending at least two formidable pop-culture trends, cable channel Freeform will open a Mermaid Museum in Hollywood this month as a free, four-day glitter-bombed Instagram mecca. Kind of like the Museum of Ice Cream, but with seaweed. 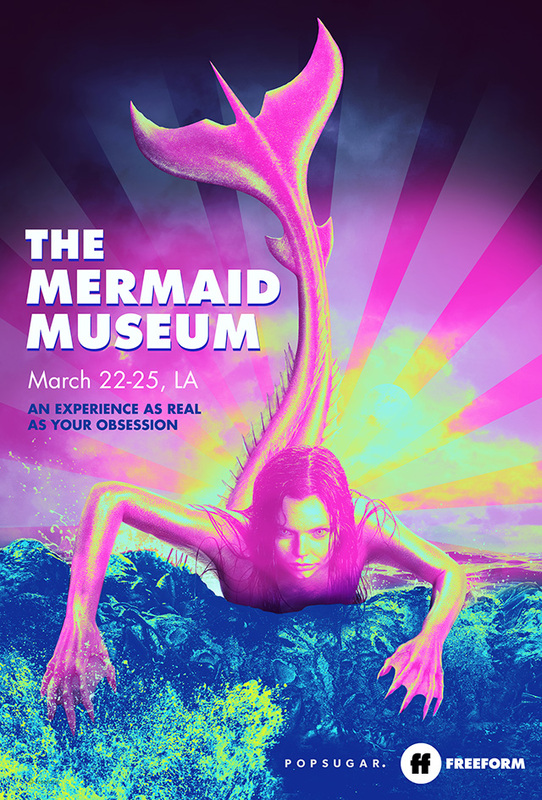 There will be a “live” mermaid in a 48,000-gallon tank, giant clamshells, a massive “scale” wall (possibly made of sequins), a 360-degree “underwater” projection room with a siren call soundtrack, and optical illusions that will make visitors look like they’re floating in the ocean. 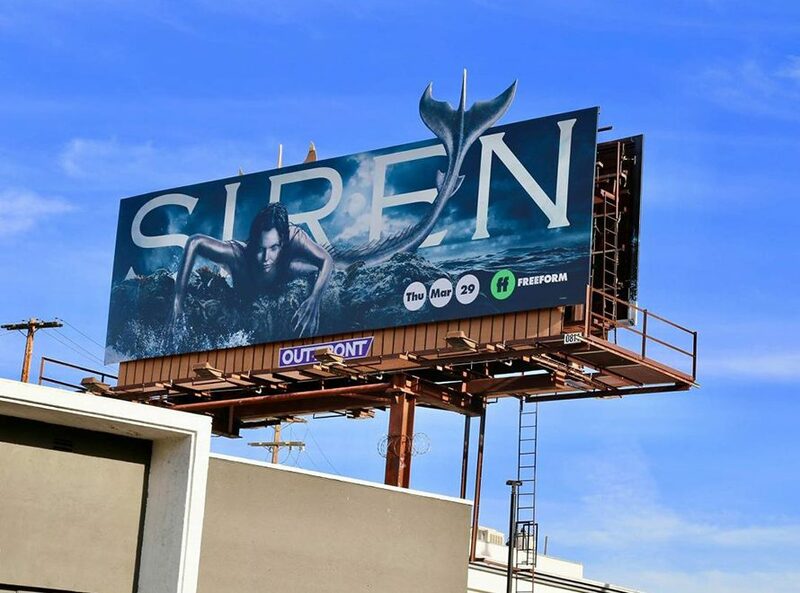 It’s all in service of the Disney-owned network’s tentpole midseason show, Siren, which was first introduced at the upfront presentations last year with a clip that has since snagged more than 21 million views. The Mermaid Museum, opening March 22 (influencers will get a sneak peek the night before), also taps into the ongoing interest in pop-up shops, which have become an advertising trope but still pack in the bodies, and reach well beyond their physical borders via social media, if they’re clever and unique. Among the multiple photo opps and “activations,” Freeform’s stunt will re-create a mermaid memorabilia store, an important set piece from the series, which takes place in the fictional town of Bristol Cove. Storyline: Life there gets disrupted when a modern-day mermaid, believed to be a relic of the area’s past, emerges from the deep and goes on a rampage. Clearly it’s a fantasy thriller and not a Disney cartoon, more in line with the channel’s past hits like Pretty Little Liars and upcoming dramas such as Cloak & Dagger. The latest video snippet of the series, which launches with a two-hour premiere on March 29, features the mermaid character Ryn (played by Eline Powell) sprouting a spiky dorsal fin, lethal talons and razor-sharp teeth. The museum, created with Popsugar, is part of a hefty marketing campaign for the drama that includes a massive digital and social media push, outdoor ads, TV trailers during genre shows like Riverdale and The Talking Dead, cross-promotion and custom content with a number of Disney divisions and a partnership with Pressed Juicery for a drink called Mermaid Fuel (it’s blue from the algae). Freeform has also declared March 29 to be International Mermaid Day, finding a gap in the many already-existing mermaid holidays. “There was nothing worldwide,” Melton said. Mermaids have been all the rage for some time now, influencing everything from fish-tail blankets and Lady Gaga to hair color and Frappuccinos (and yes, sparkly mermaid toast is still a thing). An indie flick, The Lure, made a splash, so to speak, as a cannibalistic mermaid story, and on the lighter side, there’s a live-action remake of The Little Mermaid on the horizon with Lin-Manuel Miranda.